JIM PLAYS THE SON OF WILD BILL HICKOCK. JIM IS A VERY SUCCESSFUL WRITER (HE WROTE 'B' WESTERN HEROES ON THIS CD) AND RECORDING ARTIST. HE RECORDED FOR ABC-DOT AND HAD THE TOP TEN HIT 'THE RIVER'S TOO WIDE' AND MANY OTHER RADIO HITS. YOU'VE HEARD HIS RICH VOICE ON MANY COMMERCIALS - HUNGRY JACK, MILLER BEER, PIZZA HUT, UNION 76 AND MANY MORE. 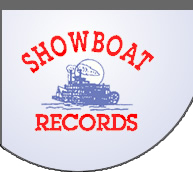 JIM HAS WRITTEN HIT SONGS FOR DEL REEVES (PHILADELPHIA FILLIES), LEONA WILLIAMS (COUNTRY GIRL WITH HOT PANTS ON), CARL SMITH, RAY PRICE, MOE BANDY, SUE THOMPSON AND DON GIBSON. HE HAS RECEIVED 12 ASCAP AWARDS. WE ARE PROUD TO HAVE HIM ON THIS CD.